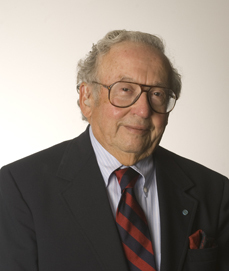 The Harold Berger Distinguished Lecture and Award, named in honor of the Honorable Harold Berger, is awarded biennially by the School of Engineering and Applied Science to a technological innovator who has made a lasting contribution to the quality of our lives. Special emphasis is given to the societal and economic significance of an advance. 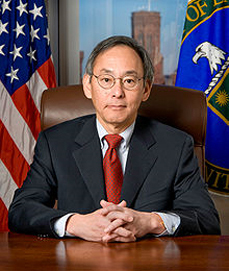 Penn Engineering is proud to announce the 2011 Recipient of the Harold Berger Award: Steven Chu, Secretary of the United States Department of Energy and co-winner of the 1997 Nobel Prize for Physics for his work in methods to cool and trap atoms with laser light. Dr. Chu has devoted his recent scientific career to the search for new solutions to our energy challenges and stopping global climate change – a mission he continues with even greater urgency as Secretary of Energy. He is charged with helping implement President Obama’s ambitious agenda to invest in alternative and renewable energy, end our addiction to foreign oil, address the global climate crisis and create millions of new jobs. The Award was presented following a lecture entitled “How Innovation Has Changed the World” given by Dr. Chu on October 13, 2011. This event was held at 4:30 p.m. in Wu and chen Auditorium, Levine Hall. 2004: Dean Kamen – for his creative use of technology to advance health care and his unwavering championing of engineering education. 2002: J. Craig Venter – for his creative use of advanced technology and for his leadership role in the sequencing and analyzing of the human genome. Managing Partner, Berger and Montague, P.C. Judge Berger is Managing Partner of Berger and Montague, P.C., a Philadelphia-based law firm. He formerly served as Judge of the Court of Common Pleas of Philadelphia and is past Chairman of the Federal Bar Association’s National Committee on the Federal and State Judiciary. He is the author of numerous law review articles, has lectured extensively before bar associations and at universities and has served as Chair of the International Conferences of Global Interdependence held at Princeton University. Judge Berger has served as Chair of the Aerospace Law Committees of the American, Federal and Inter-American Bar Associations and was elected to the International Academy of Astronautics in Paris in recognition of the importance and impact of his scholarly work. As his biographies in Who’s Who In America and Who’s Who In American Law outline, he is the recipient of numerous awards, including the Special Service Award of the Pennsylvania Conference of State Trial Judges and a Special American Bar Association Presidential Program Award and Medal. Judge Berger is a permanent member of the Judicial Conference of the United States Court of Appeals for the Third Circuit. Long active in engineering and law alumni affairs at Penn, he also serves as Chair of the Friends of Biddle Law Library.